A cycling accident, a fractured mandible, and a life goes on. I mentioned in my last post on facial asymmetry a study that found that facial asymmetry increased over time in patients who had broken jaws treated by maxillomandibular fixation (MMF, colloquially known as wiring the jaw). As such, I thought it would make sense to post updates on my own asymmetry here. It’s now almost 9 months after my accident. Nine months isn’t one of the times for which the aforementioned study reported data, but it’s when I’m getting around to doing this. It looks roughly the same as last time. 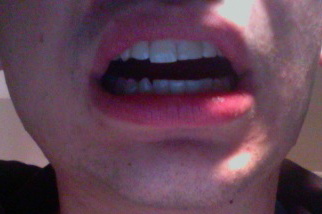 Now, here’s my mouth with my lips opened but my teeth still closed. 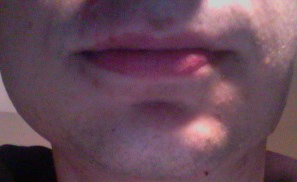 This time, it appears that my lips are opening slightly further on the left side than on the right side. 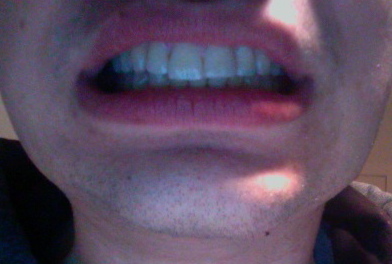 Here’s my mouth opened slightly. 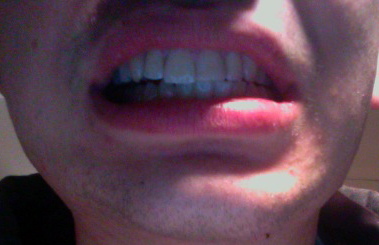 Here, it seems that the asymmetry in my teeth (largely a product of my repaired tooth on the upper right side being smaller than its neighbor to the left) is more noticeable than any asymmetry in the way my mouth is opening. Now, here’s me moving my lower jaw as far as I can to the left. That’s even further than I was able to move it last time. However, I still can’t really move it visibly to the right. Finally, it looks like I can open my mouth a little bit further than last time, but the asymmetry is now perhaps even more pronounced than last time. 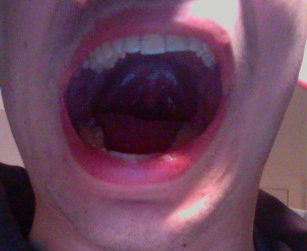 Opening my mouth like that, by the way, is actually fairly painful. 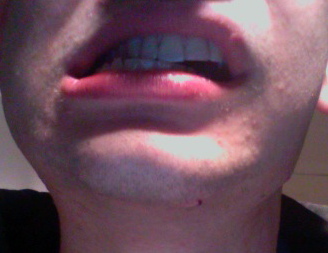 It’s certainly nothing unbearable, but I do feel a sharp pain in the left side of my face near the site of the fracture. These pics look just like what my mouth does, only my jaw deviates to the right when I open, and likewise, my jaw won’t move past center to the left. Also, I am unable to open that far yet, but am optimistic that I will be able to with time. My bite is also a bit off on the right side (my teeth tilted in slightly), but that is from my front fracture, not the condylar fractures. I'm Adam Merberg. I wrote this blog after I had a bicycle accident and thought it might be useful to document the various injuries (a broken jaw among them) that resulted. If you have questions about anything you read here, feel free to email me. These days, I don't update this blog often because I consider myself to be fully recovered, but I do try to reply to comments and emails. Please note that this blog is not a substitute for professional medical advice or treatment. If you have reason to believe that you have broken your jaw, you should see a doctor.